Make Your Mother Proud – Eat Your Veg! As you have been basking in the sunshine amidst the spring crocuses and daffodils, the vegetables growing indoors have also really enjoyed the recent spells of sunshine and warmer temperatures. Winter purslane and land cress are all growing well so the salads are definitely benefiting plus the purple khol rabi is looking like it will be a winner in a few weeks. Meanwhile enjoy the hot and peppery mustard leaves – there are plenty in the fields! There’s been a good bit of last minute pruning occurring, with many birds getting ready to start nesting seasons it’s best to have any unwanted or encroaching trees and bushes cut back early to avoid disturbance later on, which may also provide materials for nest building. So how about some apple turnovers in bed for a Mother’s Day breakfast treat? Dead easy with ready made all-butter puff pastry. 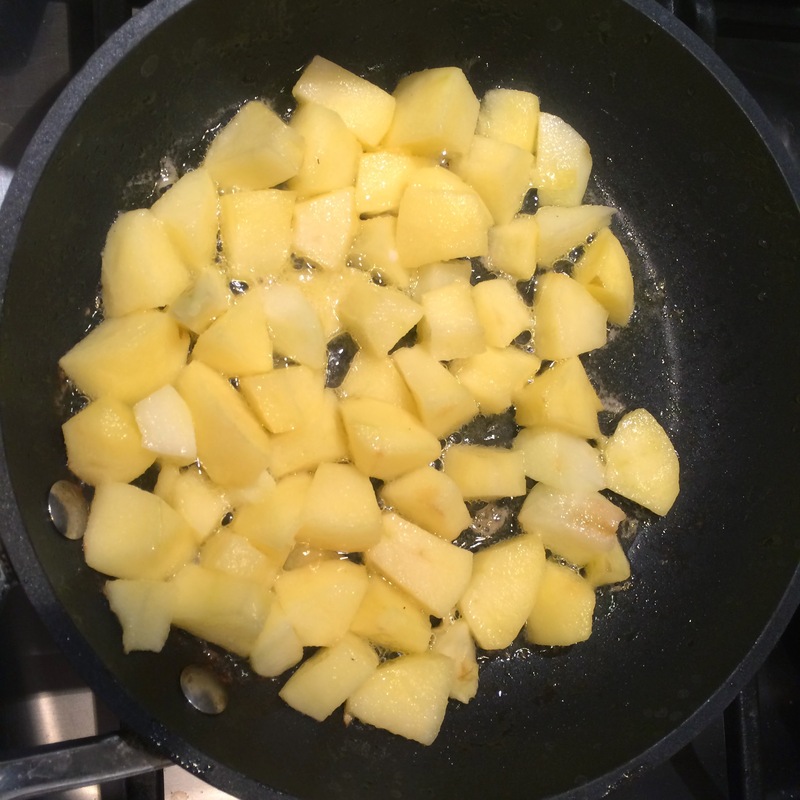 You can also cook up the apples without sugar, and add a teaspoon to the cooked apple just before sealing it up in the pastry – keeps it from getting too juicy, so that the pastry stays lovely and crisp. Followed up the day with Sunday roast with carrot, parsnip and savoy cabbage trimmings? Maybe a roast chicken with stuffed with a whole garlic and two halves of a lemon? 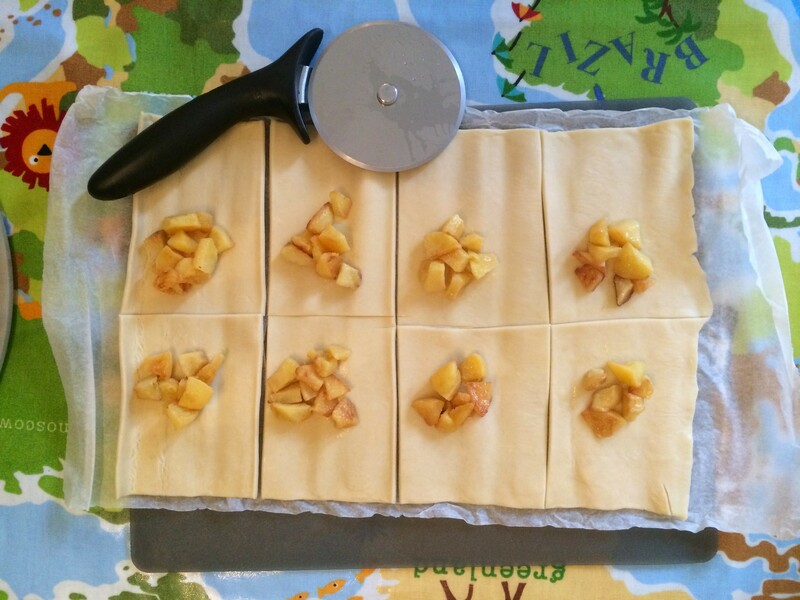 Or save the apple turnovers for an easy peasy dessert! For more ideas on how to eat the vegetables in this week’s box, try searching on our webpage for past blogs! ← Mind the Hungry Gap!